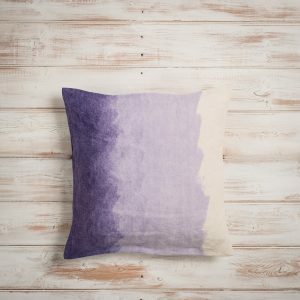 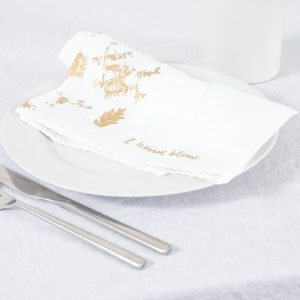 This endearing design is named foglia – or leaf. And the delicate leaves and twig structures of this design conjure, for us, fond memories of autumn walks in the woods, and the fascination of playing in the fallen leaves as a child. 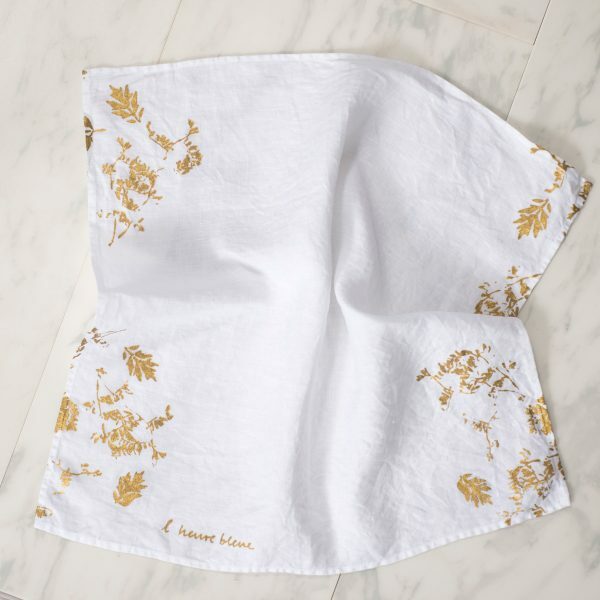 The delicate nature of this design is reflected in the way you see it printed here – applied with a subtle touch, simply in the corners of these charming hand-printed white linen napkins. 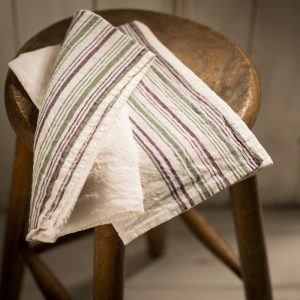 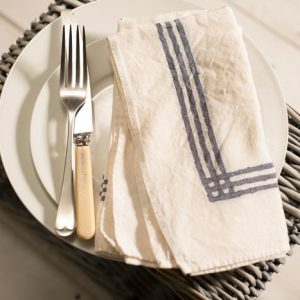 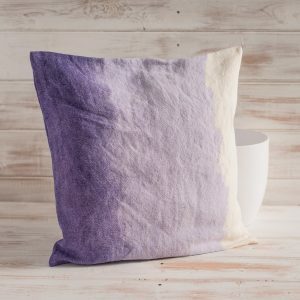 The soft, organic, pure linen that these napkins are crafted from is the very finest quality, traditionally woven, naturally crumpled linen – which is absolutely pure white. 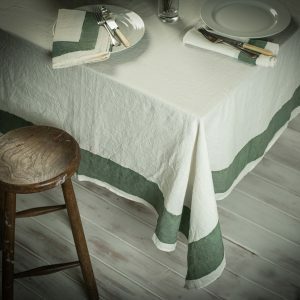 And the combination of the subtle design and the wonderfully fine linen creates a very refined and memorable impression. “Viewing life as it is, finding the instincts, dreams and longings we share in common,” says Charlotte Hjorth-Rohde, the Danish graphic designer and photographer who created l’heure bleue (the blue hour) design exclusively for AllÓRA. The Bertozzi family have used traditional printing techniques since 1920, hand-carving blocks of pear wood to produce the stamps they use to print designs onto fabric. 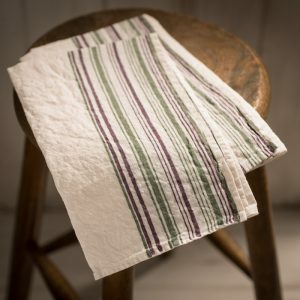 They handmix the rich and vibrant colours that you see here – just as they have always done.